Bavarian Evening is coming! Bavarian Evening is coming! 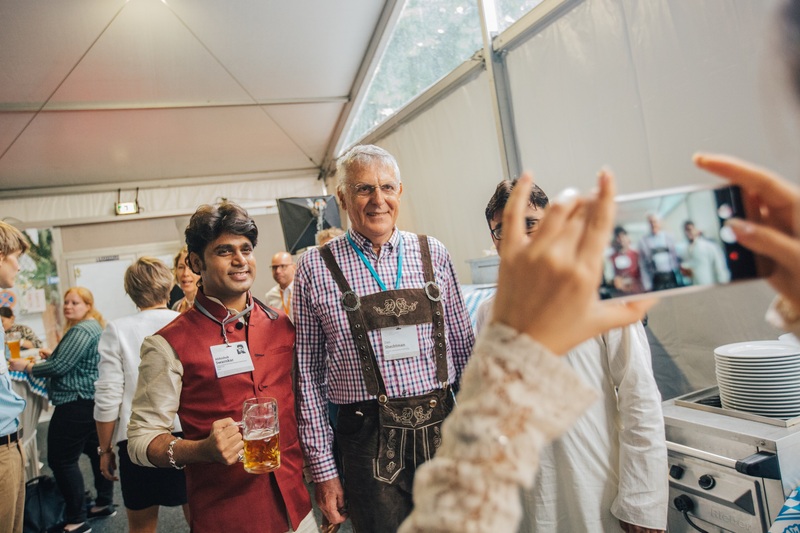 On Thursday of this week at #LINO18, prepare to be immersed in a bountiful, jovial buffet of Bavarian culture, food and music. Hosted by the Elite Network of Bavaria and the Free State of Bavaria, this cornucopia is your penultimate party to get out and get down with your new amazing nerd friends that you made through your time at Lindau. 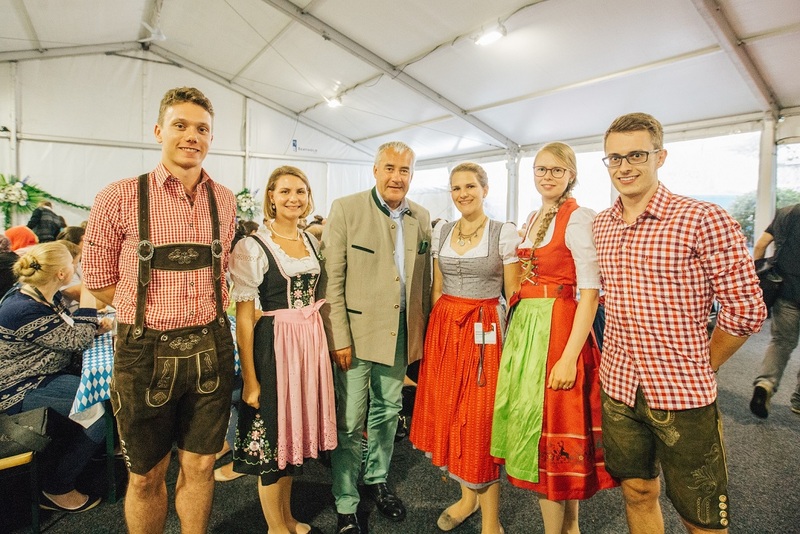 At Bavarian Evening, you can expect lots of delicious food that is associated with Bavaria, lots of entertaining music and a collegial, lovely atmosphere. Prepare to have fun, fun, fun!!! And why shouldn’t you have just a little fun? You will have spent the week working hard, networking, learning from the laureates and meeting all the young scientists with whom you can build long-term collaborations. In going into this German Gathering, I thought you might like to know some facts: Did you know that Bavaria, which has recorded occupancy dating back to the 6th century, is the largest state by land and the second most populous in Deutschland? Did you realise that Bavaria has one of the largest economies in Germany and that it is home to headquarters of many major international tech companies as well as some of the world’s leading universities and research institutions? Heck, what’s not to celebrate here? There’s another cool aspect of these festivities – not only are we celebrating Bavarian and German culture, but we are also celebrating all of the cultures that young scientists and Nobel Laureates represent. You are encouraged to dress in outfits that demonstrate and celebrate the customs and cultures from your own native lands. Let’s learn from each other by celebrating each other, and vice versa – that’s what this party is all about. I always look forward to seeing everyone’s traditional garb. It’s such a great way to truly get a sense of Lindau as a love letter to science as an international ecosystem. And the laureates really get into the mood, too – they typically dress in Bavarian clothing, such as lederhosen. Do wear clothing that represents your nation and culture. One of the wonderful aspects of Lindau is that it is essentially a United Nations (80+ countries and countless cultures and languages are present). Take advantage of this chance to proudly showcase your customs and culture and history through the display of your gorgeous garments. Do take plenty of selfies and post, insta, and tweet them. Use the hashtag #LINO18 and let’s celebrate where we come from! Do take advantage of the Photobooth. Have fun and get some great snaps! Do introduce yourself to people you haven’t met yet. 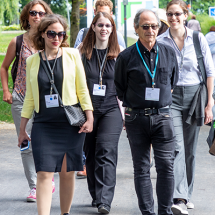 This is one of the last times at #LINO18 that you will have for supreme networking, so take advantage of this opportunity. Do ask people about their outfits. We want to know what your dress means to you. Do try some foods, even if it is outside your comfort zone. At Bavarian Night you will find a buffet of traditional Bavarian food including pretzels, Obazta, beer, Leberkäs and Fleischpflanzerl. Ever mindful of people like me, who are vegetarians, the Lindau Crew even offer vegetarian dishes as well. Do introduce yourself to the laureates if you haven’t met them yet. 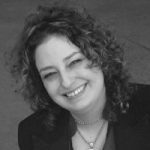 Do be a little silly, but remember you are still in a professional environment. Do be joyous and celebratory! You earned it! Don’t skip this party. This event is one of my Lindau Favs, and you’ll quickly know why. I know you will be tired by the time Thursday rolls around because it is a huge week, after all, but don’t not go. Go, greet, meet, network. Don’t just sit with your new friends or the other young scientists you travelled with. Look for open seats where you can meet new people and forge new connections that can last a lifetime. 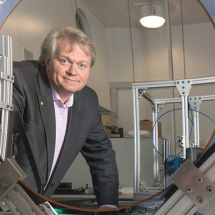 Don’t be afraid to ask a Nobel Laureate if you can take a photo with them. 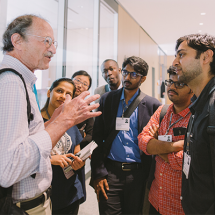 They generally love talking and being around young scientists (that’s why they come to Lindau year after year). They recognise that Bavarian Evening is a night of fun and celebration. Just be respectful and polite, of course. Don’t drink alcohol if you typically don’t drink. You do not have to feel pressured to imbibe at all. I personally never drink alcohol and don’t feel uncomfortable if others are drinking around me. The same should be for you. And of course, there are plenty of non-alcoholic options including the fruit sodas- YUM! The Lindau Management have made a strategic decision to leverage their assets in the most profound and delightful way. They are giving me access to their twitter account for Bavarian Evening. Um, Hey Lindau Leaders, are you sure you want Alaina on the account? So that’s right – yours truly will be taking over the handle and driving @lindaunobel on Thursday at the Bavarian Evening. I will be live tweeting the festivities with interviews, quotes, pictures and videos featuring you wearing your best garb and eating the best wursts.